The sources of fertilizer supply in Pakistan are domestic production and imports. Those manufactured locally include urea, calcium ammonium nitrate (CAN) and ammonium sulphate (AS) as straight nitrogen fertilizers. Single superphosphate is the only straight phosphate fertilizer and nitrophos is NP, a complex fertilizer. All other fertilizers are imported. Recently the production of SSP and AS has been stopped due to high cost of production. This is the most concentrated solid straight nitrogen fertilizer. Its prills or granules are white in colour and free flowing. Urea is readily soluble in water. It contains 46 per cen N in amide (NH2) form which is changed to ammonium (NH4+) in the soil. Because of its high water solubility, it is well suited for use in solution fertilizers or foliar sprays. Urea though alkaline in initial reaction leaves behind a slightly acidic effect in the soil after nitrification. Ammonium sulphate was one of the most important N-fertilizers but because of its low nutrient content and relatively high manufacturing cost its production and Daud Khel has been stopped. It contains 21% of N and 24% of sulphur. Ammonium sulphate is a white crystalline salt but sometimes, it might have a grey, brown, red or yellow tint, which has no effect on its nutrient value. It is soluble in water and nitrogen in this fertilizer is readily available to crops. This fertilizer has an acidifying effect, therefore, its continuous use may be advantageous on alkaline soils. This fertilizer contains 26% N, half of it is in ammoniacal form and half in nitrate form. Its granules and prills are grey or light brown in colour and free flowing. The whole fertilizer is not soluble in water because of calcium but the nitrogen part is readily soluble. By virtue of the calcium in this fertilizer, it is approximately neutral in its reaction when applied to soil. SSP fertilizer was available in powder as well as in granular form. Its colour could be grey or brown and it contains 16 to 20% P2O5. The phosphors in this fertilizer is readily soluble. This is a concentrated phosphorus fertilizer which contain 46% P2O5 and almost all of this phosphorus is in water soluble form. TSP could be in powder as well as in granular form but the light grey granulated product has better storage and handling properties and is free flowing. SOP is available as a white crystalline salt or in granular form and contains 48 to 52% K2O and 18% of sulphur. It is solule in water. In Pakistan this is the only potassium fertilizer which is recommended for all crops but on a world scale its use is limited to certain crops which are sensitive to chloride i.e. tobacco, potato, fruits and vegetables. It is also preferred in soils where chloride accumulation can be problem. This fertilizer contains 18% N and 46% P2O5 , It is a readily water soluble fertilizer and both nutrients in this source are in plant available form. The material is light brown, granular and free flowing. It leaves acidic effect in soil after nitrification of ammonium (NH4+). No deleterious impact on soil and crop has been reported due to its use. However, its direct contact with seed and germinating seedlings should be avoided as ammonia may cause injury. 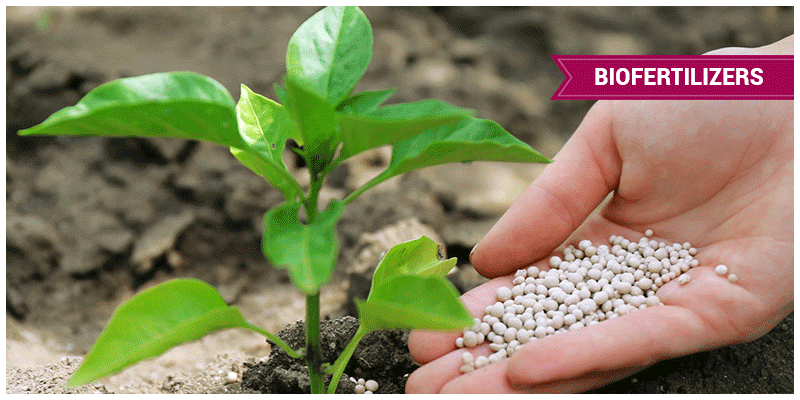 These fertilizers are also called ammonium nitrate phosphates. In Pakistan, it is called nitrophos and contains 23% and 23% P2O5 . Half the N is in ammoniacal form and the other half is in nitrate form. The water solubility of phosphorus in 23-23-0 grade is normally more than 70 per cent.